I was quite confused when I encountered the fruit in the picture below. It’s shaped like an apple. But the colour doesn’t seem quite right. Would it be alright to just eat this? Or does it need cooking first? After enquiring with the helpful store personnel, I found out that this is a pear! But it’s round instead of (duh!) pear-shaped. 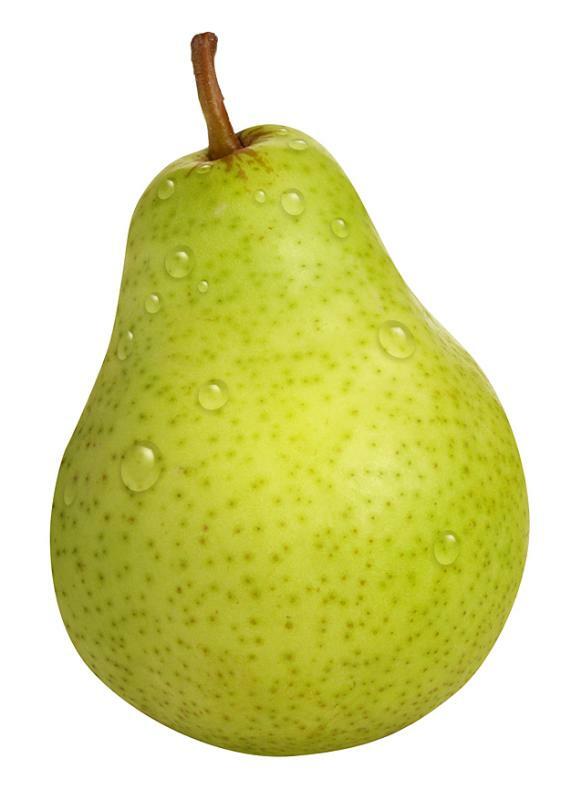 The taste is also a little different from Western pears: it’s less sweet but tasty all the same. This entry was posted in Food, Japan and tagged Food and drinks, Fruit, Impressions of daily life, Strange Japanese things by Haruko-chan. Bookmark the permalink. These Asian pears have been common for 20 years in the Western US. They are good, aren’t they? Yes, I like them a lot. Have never seen them in Belgium though. 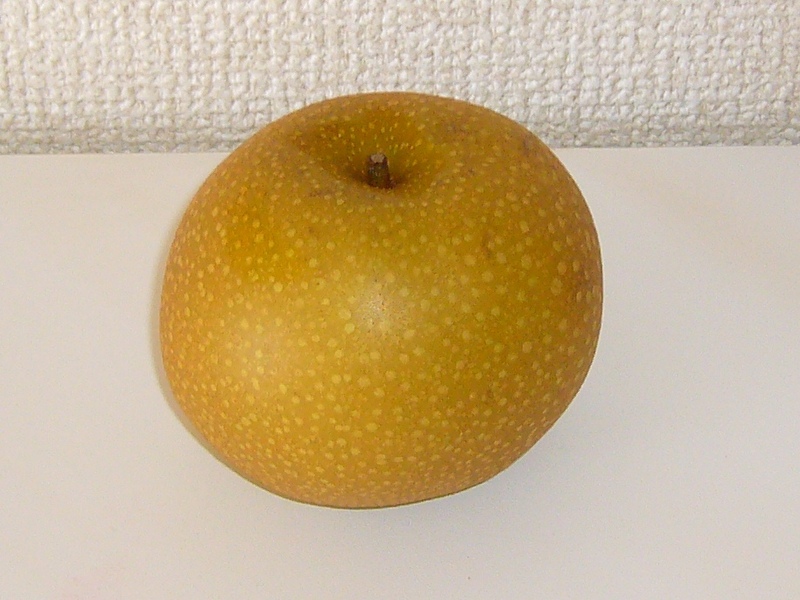 Volgens mij noemen ze dat een Nashi (ofwel appelpeer of peerappel of zo). Blijkbaar smaakt het wel? Veel groetjes en succes daar.